The best foggy day last year. The top photo, by Leo, is still one of my absolute favourites. I can't believe it was warm enough to wear a dress! Btw, to those of you who have ordered prints, all orders are on their way and should be with you shortly, I hope. Some of your email addresses didn't seem to work as I was sending out messages about shipping confirmation. soooo very beautiful. love them! Oh, the first picture I like a long time. And thank you Annette for advice, I made shop with bigcartel, it was easy. Du borde förresten ta hål i öronen! så mkt kul man kan ha i dom då! 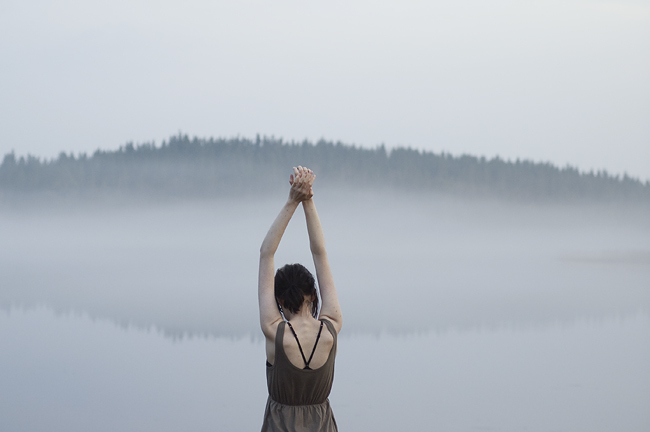 the first photo could be a reason why I should love a fog..
fog is so fantastic!I love your hands. Alltså åh. Finare foton än dessa går inte att hitta! Älskar älskar älskar dina bilder och blogg!!!! Du är en min stora idol när det kommer till fotografering. Åh vilka underbara bilder, speciellt den sista. Herrejesus. I'd die with happiness if some day I took photos like those. 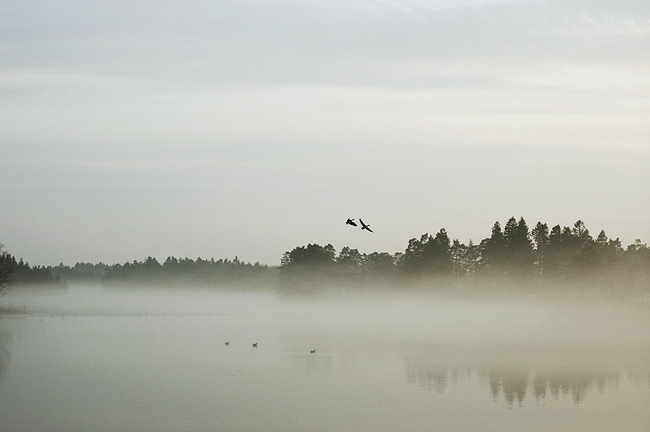 I've always really liked these two photographs and since I first seen them, now every time I see a fog (esp above a lake) I think of them haha. hey, your photos are.. amazing! i really love the way you are able to take them, the ideas and so :) all the best in future! tack/thanks guys, you're always so sweet! iva: foggy weather is the best weather! i really love these photos! foggy days is beautiful days. du är så himla, himla duktig. kan titta på dina foton i en evighet. jag tröttnar aldrig! i love those pictures! wow!